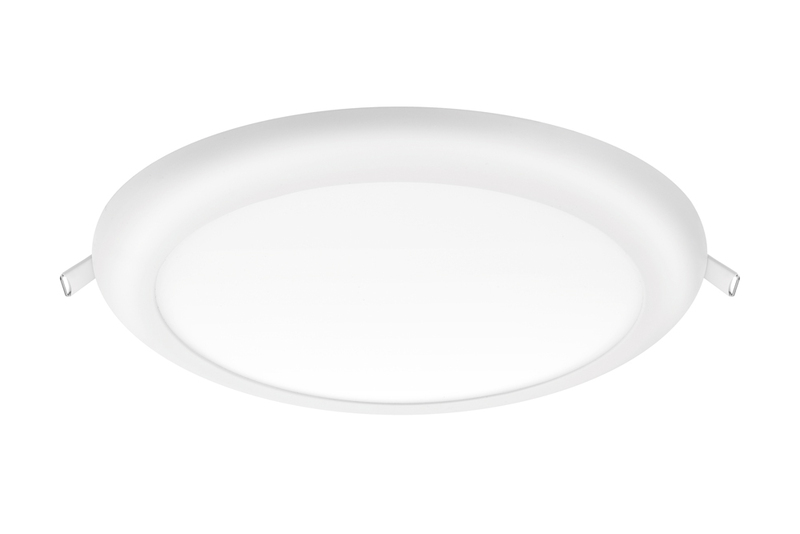 One downlight that can fit cut-outs ranging from 65mm-205mm, or can be surface mounted. 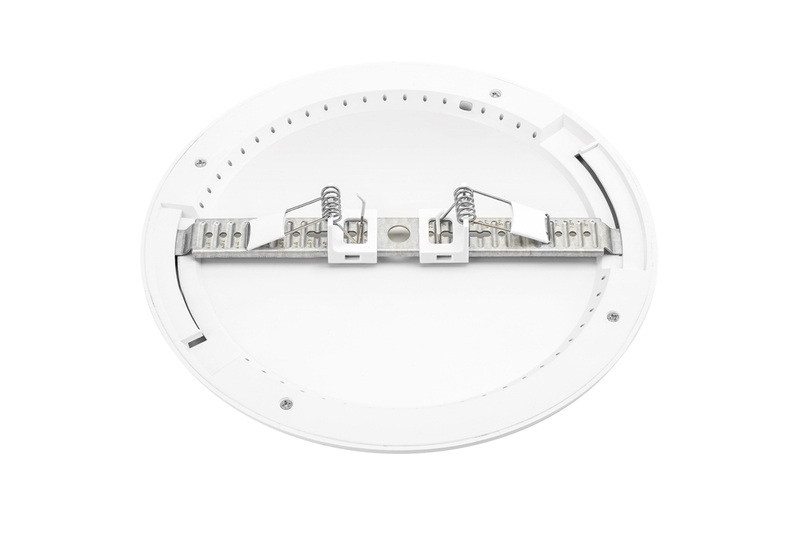 That’s the promise of the new Multi-Fit downlight the most versatile downlight yet from Integral LED. This adaptability is possible thanks to the innovative bracket and clip system. The clips can be adjusted across the bracket to fit just about any cut-out size that a contractor is likely to encounter. By removing the clips, the bracket can be directly surface mounted to a ceiling. This versatility allows for a uniform light fitting to be achieved in retrofit projects where an assortment of cut-out sizes is already in place across a ceiling. When installed, the Multi-fit’s diffuser, light source and control gear are all fitted below the ceiling line which avoids the provisions regarding use of TPA or TPB as stated in section 3.11 of Building Regulations. The highly efficient luminaire runs at only 18W and includes an integrated driver that eliminates visible flicker. The unit comes in a choice of 3000K and 4000K and outputs 1440lm and 1530lm respectively, through an opal frosted diffuser for a uniform light. 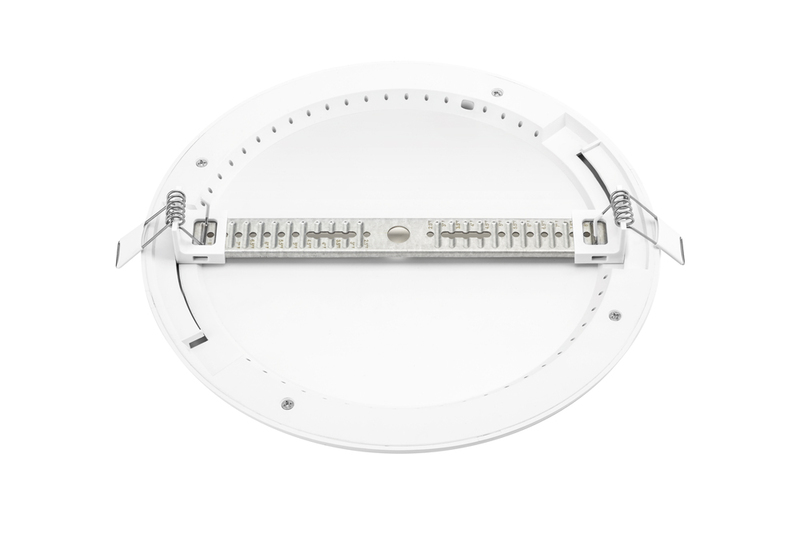 This ultra-thin (15.5mm) downlight is supplied with configurable brackets and clips allowing for installation in a cut-out from 65-205mm as well as having a surface mount installation option. Visible flicker is eliminated with the integrated driver and a frosted diffuser provides uniform light. 18W Power Consumption Equivalent to 26W Approx.